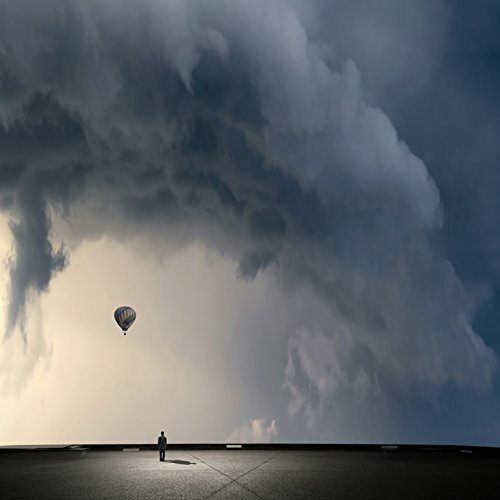 So Far Away by Philip McKay shows an outdoor scene of a faraway hot air balloon in a blue and gray, clouded sky, being bid farewell by a man watching it go. Soft navy blue and warm gray skies are contrasted against hard black and white ground in this fine art print. This is a ready-to-hang canvas print with 100 year archival pigmented ink on museum-quality canvas. Actual dimensions may vary slightly from listed dimensions to preserve original proportions.